Studies show that low-income, historically underrepresented, and first generation college students face a multitude of socio-cultural and structural barriers in college success when compared to their white, middle to upper- class counterparts (Astin, 1997; Cabrera, 1992; Engle & Tinto, 2008). 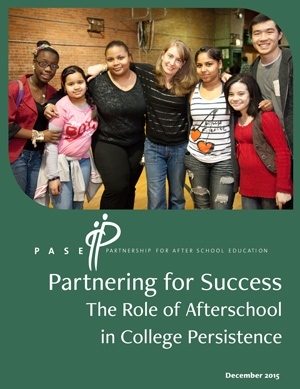 Partnering for Success: The Role of Afterschool in College Persistence is a report produced by PASE on afterschool’s role in college persistence. Made possible through generous funding from the William R. Kenan, Jr. Charitable Trust, along with support and collaboration from a wide variety of partners, the report highlights the transformative and crucial work that afterschool programs can do to support students be successful in higher education. 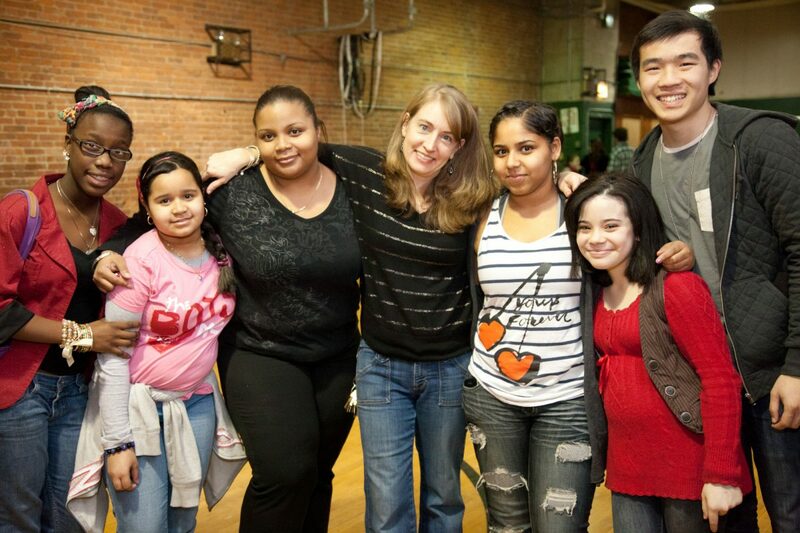 High quality afterschool programs play a crucial role in helping students to persist and succeed in college with staff who build supportive relationships with students, and youth development framework that fosters whole-person growth.